Not too long ago, I was given the opportunity to review Transformers Prime: Darkness Rising for Kailani over at An Island Life. 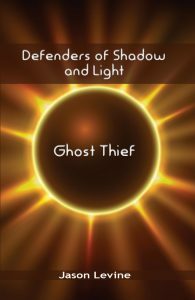 (There’s a giveaway for that too, so head on over and enter.) My boys loved it as did I. For me, it brought back a lot of memories of shows I loved growing up. I was a huge Transformers fan and always would beg my parents for a new Transformer to add to my collection. The only rival to Transformers was He-Man. I still have some of my old Transformers packed away somewhere. Besides Transformers, the boys have been re-discovering some gems from the past. They’ve watched Spider-Man and His Amazing Friends on Roku via Netflix. They don’t seem to get how cheesy it is and instead simply enjoy the superhero stories. They’ve also watched Batman: The Animated Series and The Super Mario Bros Super Show. It seems that some shows (or show concepts in the case of Transformers) don’t really age all that badly and kids don’t always need a flashy new show to be entertained. Sometimes, an older show will entertain them just as much. 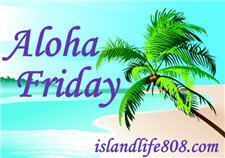 My Aloha Friday question for today is: Do you have a show that you grew up with that your kids enjoy watching? ALF,Teenage Mutant Ninja Turtles, Smurfs, Snorks, Tom & Jerry, and The Mighty Morphin Power Rangers are just a few of my childhood favorite shows that our boys love watching. Smurfs are an interesting one here. Growing up, I couldn’t stand the little blue guys (though my father loved them). My boys discovered them thanks to the movie and now love the TV show. No they have different tastes today. Any Charlie Brown special. I still love them!! My girls have started watching strawberry shortcake. It is a little different not than it was when I was a kid. We loved MR ED, the talking horse. My daughter loved watching that with my hubby, They would get up early in the morning just to watch it. There’s not many television shows that I grew up with on television anymore. ;D The babies do enjoy shows that their parents liked though. I was pretty big on Bugs Bunny which I know my kids also enjoyed when they were younger. Tom & Terry and Looney Tunes!